"Striving for quality fleece and fibre." 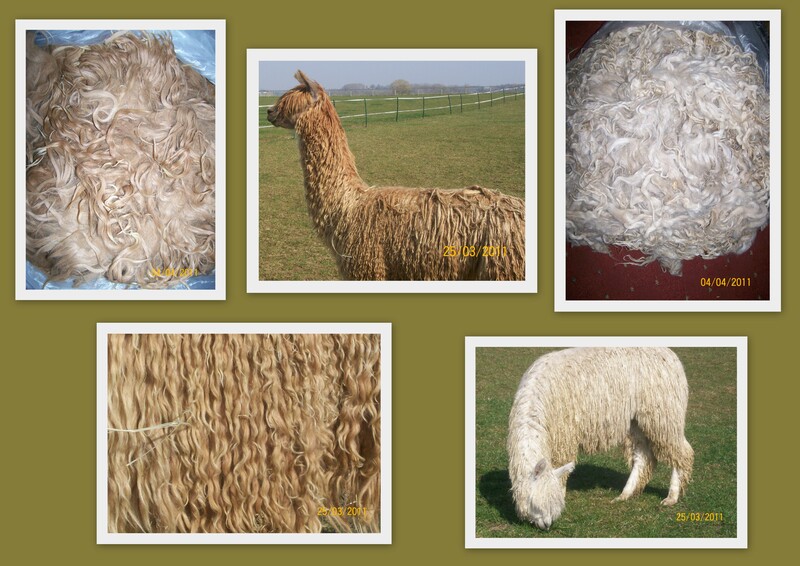 One of our main aims as a Alpaca Breeder is to improve the overall quality of the fleece and to increase the area of the fleece on individual animals, aiming for a top quality fleece to produce a top quality fibre. There are two types of alpacas - Huacaya and Suri. 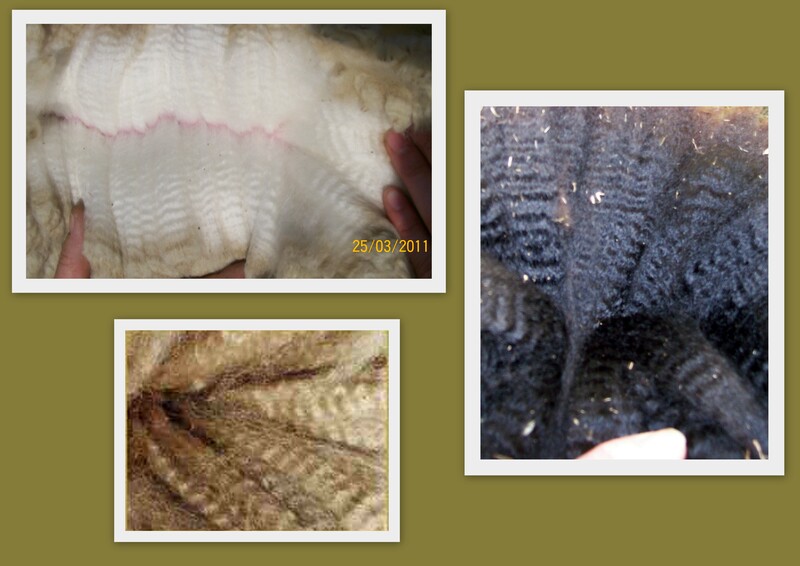 Both have fleeces that are extremly soft to feel; and a good quaility fleece should be virtually free of guard hair. Approximately Ninety-five percent of alpacas are huacaya, whose crimpy fiber grows perpendicular to the skin and gives them a "fluffy" appearance. When you handle a raw huacaya fleece, it will feel warm and inviting to the touch. A premium huacaya fiber is so soft, it feels like you are touching a fluffy cloud. 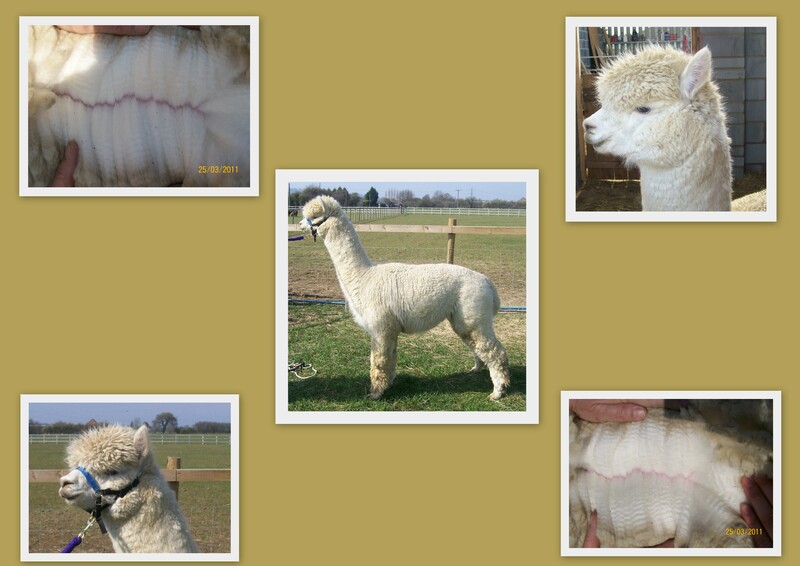 The rarer Suri Fleece is a lustrous, straighter fiber fleece that hangs down in "dreadlocks," giving the suri alpaca an entirely different appearance to the fluffy teddy bear look of the huacaya alpaca. A high-quality suri coat is so lustrous, it glistens in the sunlight and feels like cool silk to the touch. There is nothing like the elegant look of a suri moving in full fleece, its like a curtain of fibre swaying in the wind. 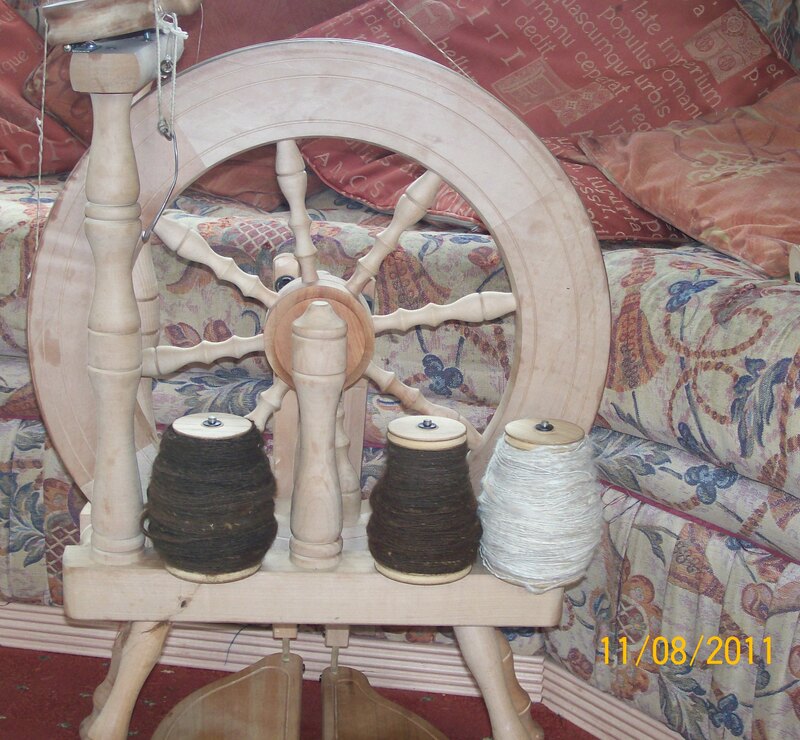 ANYONE who has had the good fortune to feel a garment or other product made from the fine alpaca fleece will realise what a superb fibre it is. It is light, warm and non-allergenic, it has often been likened to cashmere. However, we must be realistic and acknowledge that the quality of the fleece can vary. 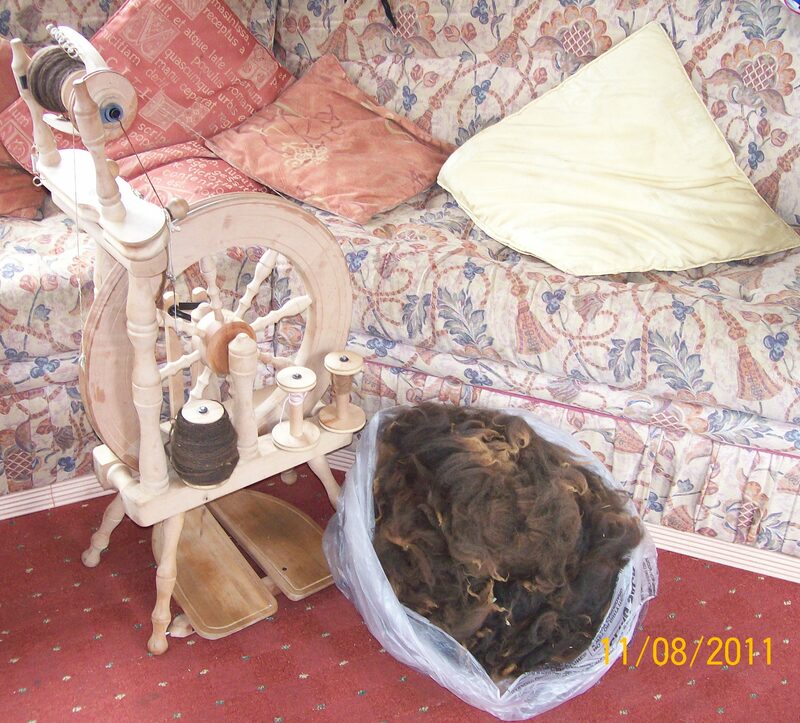 Not just between animals but within the fibre shorn from an individual. 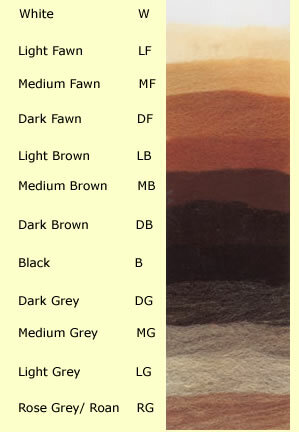 "Alpaca fleece can be found in 22 natural colours - ranging from "White" to "Black", with varying shades between these colours. 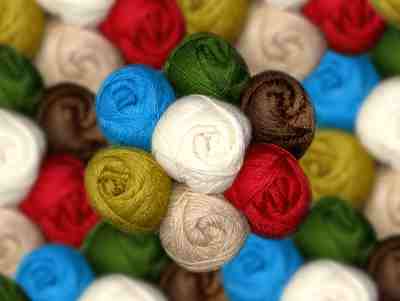 Although the wool comes in 22 natural colours it can also be dyed to many different colours. 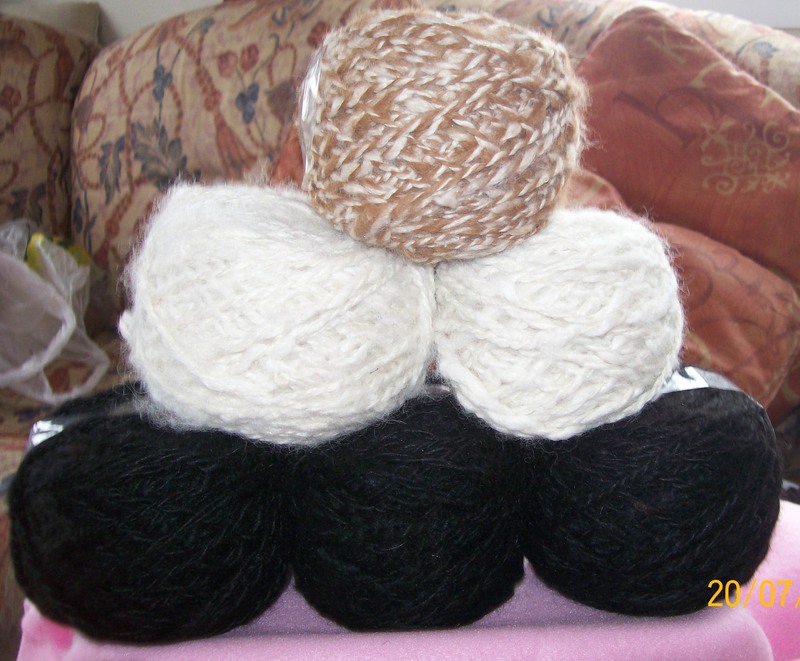 Please CLICK HERE to go to our Items for Sale page for handmade items made for our handspun wools.